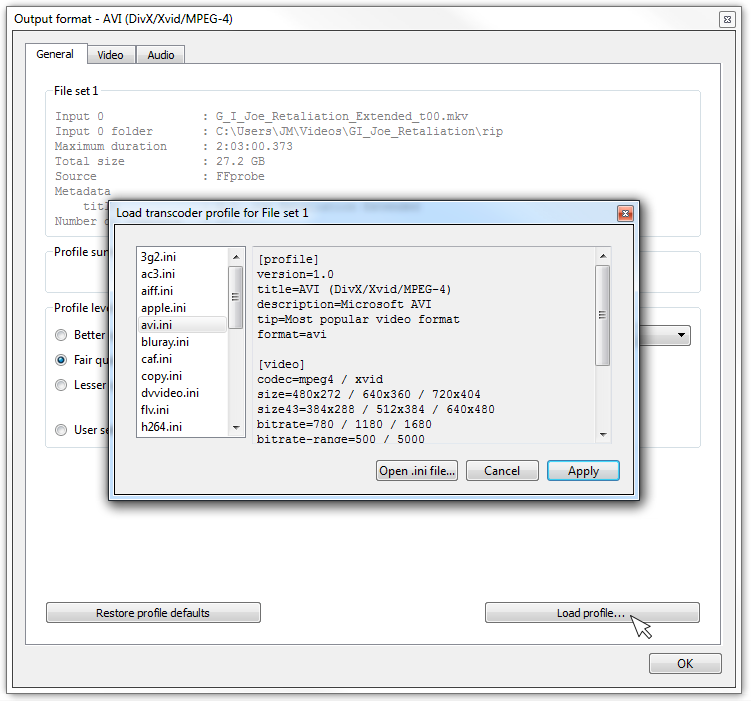 First you must load the file in DVDx 4.1, either from File menu, either with drag'n'drop file into the player (full-featured player to preview movies). 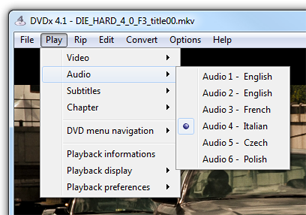 If you ripped the disc with DVDx 4.1, MKV title files are in rip sub-folder. 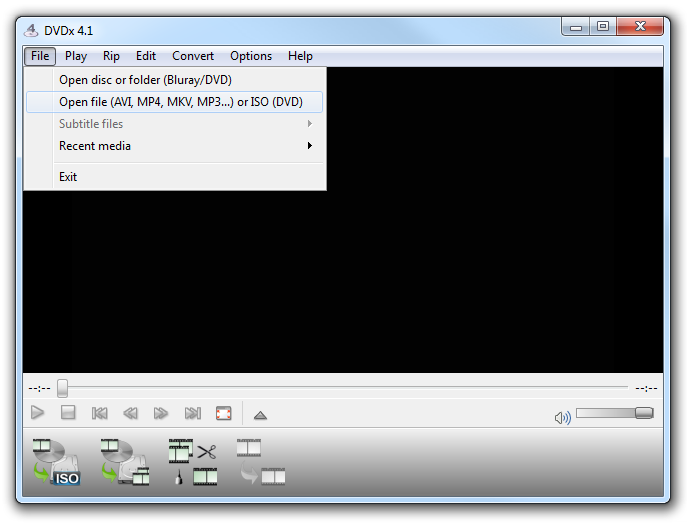 You can also drag and drop the file into the player. 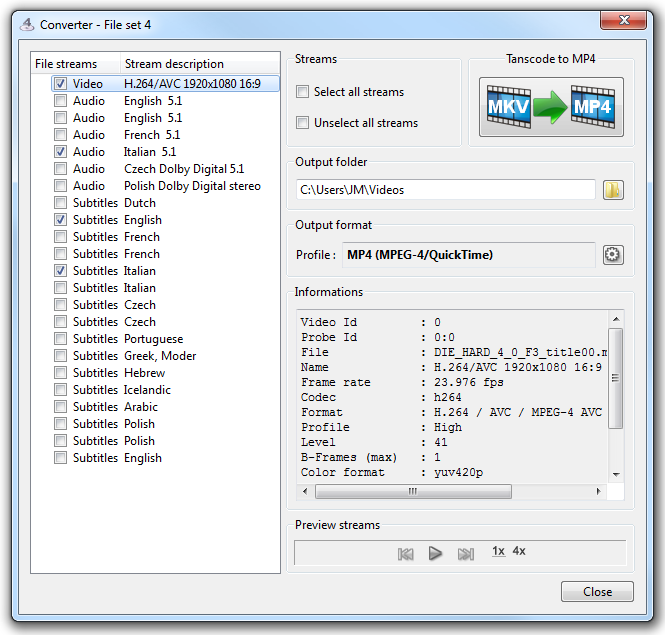 The file will start playing while the converter is analyzing the file streams. 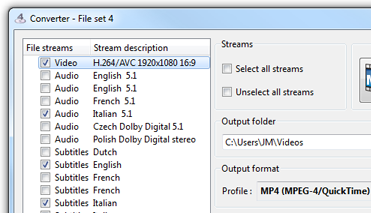 You can choose audio and subtitles in the player then you're sure the streams you see in playback are selected in the converter. 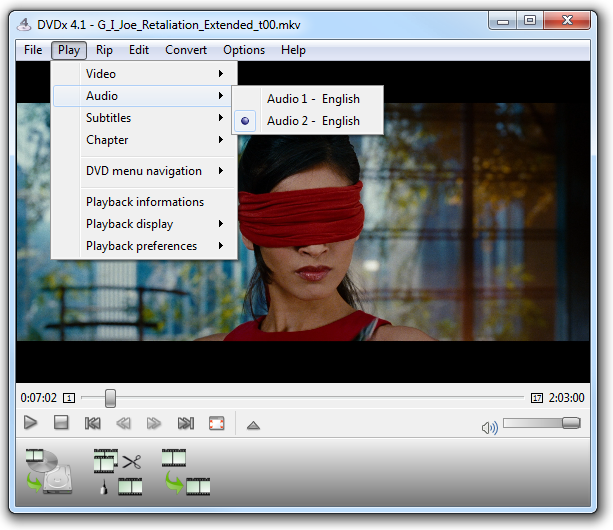 The player is very useful to avoid confusion with several audio streams in same language (movie track, director comment). 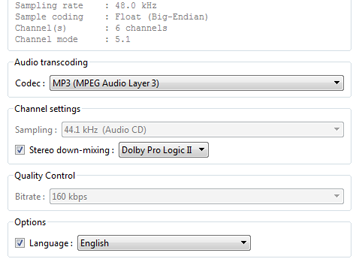 However you can choose only 1 audio track and 1 subtitle track to playback, so multiple selections will be done in the converter (like described hereafter). 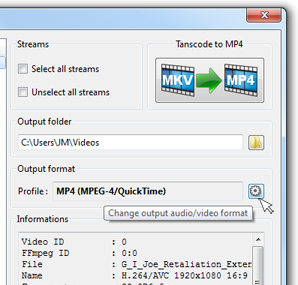 Then open current file in the converter from Convert menu, choose Transcode current file. 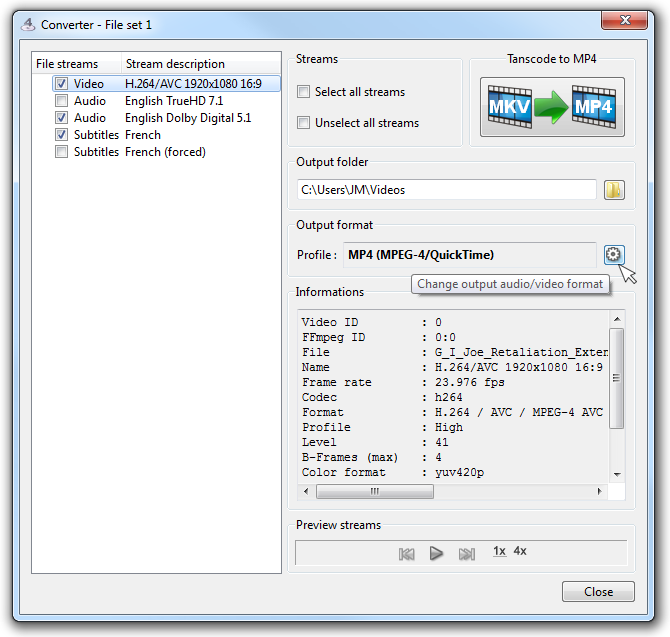 Audio and subtitles you've selected in the player are selected in the converter. 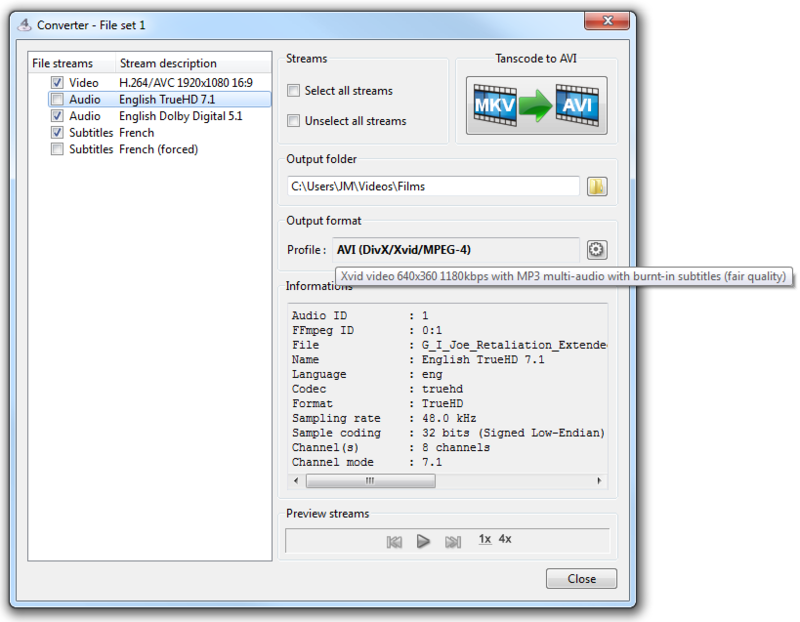 You can select/unselect additional streams you want to transcode. 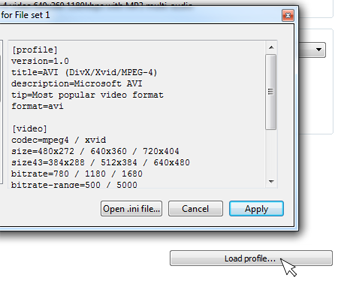 Click Apply this profile for current File set (why file set and not file: because you can add extra files in this converting set, like text subtitles (.srt) downloaded from the Internet (more...). 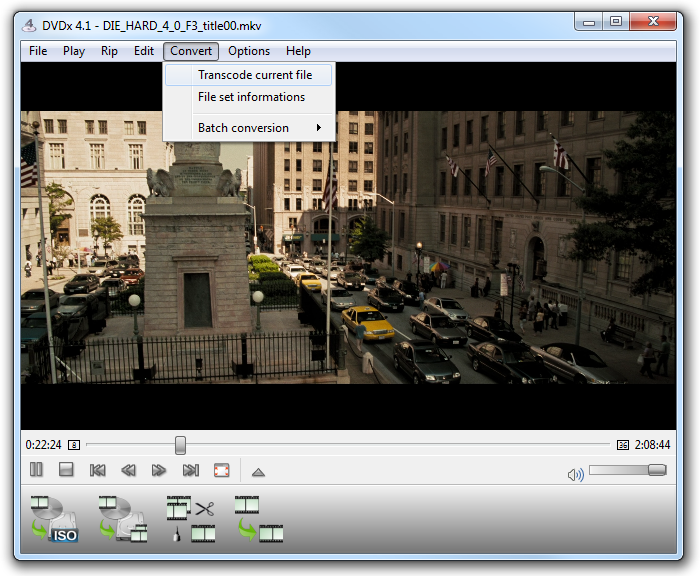 Language option is relevant for subtitles track and particularly useful when you include subtitles files downloaded from the Internet (more...). 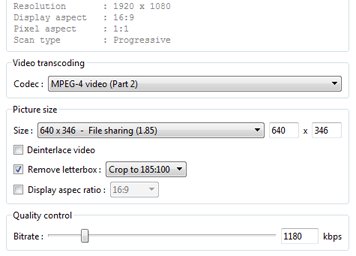 transcoding downloaded video burning subtitles is damned fast (270 frames/second, up to 360 frames/second). 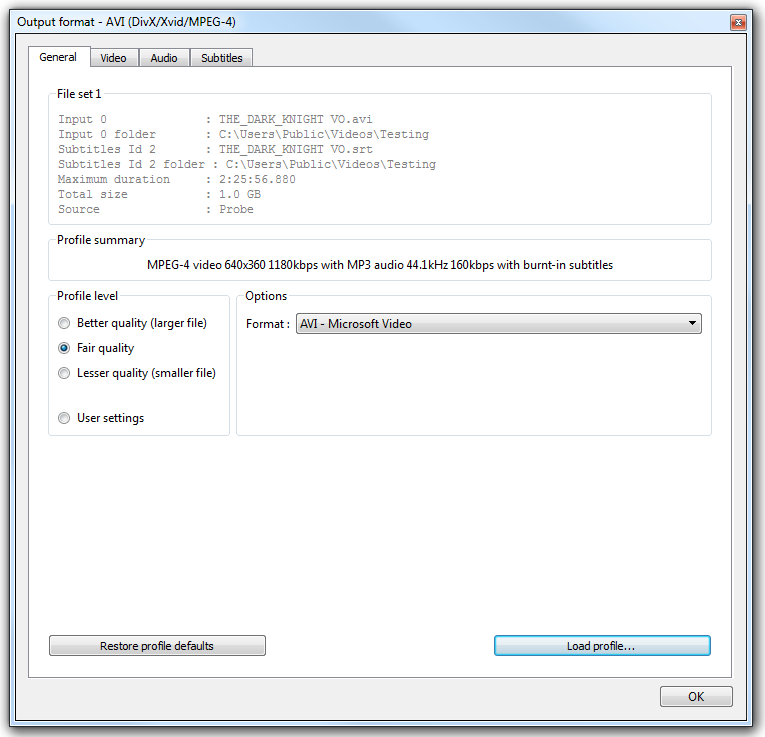 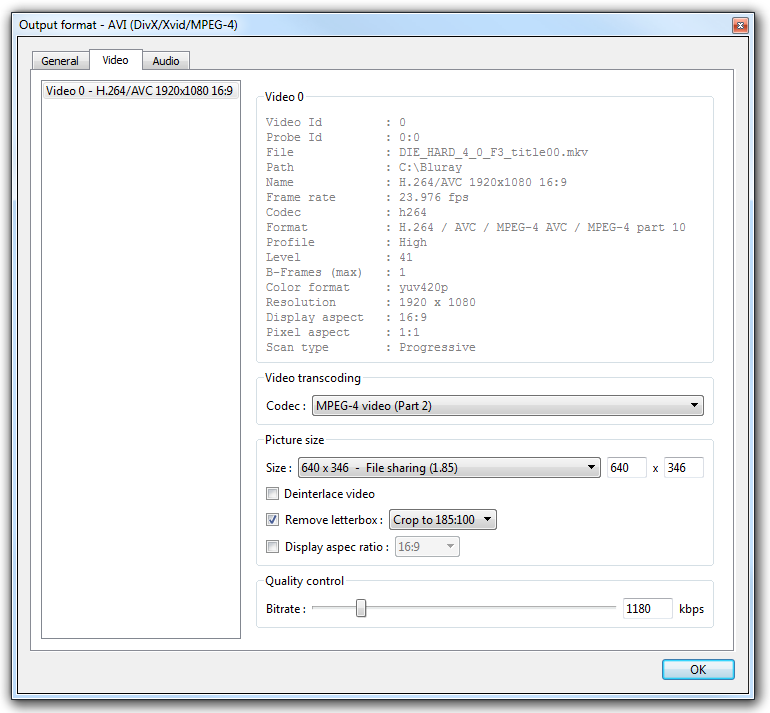 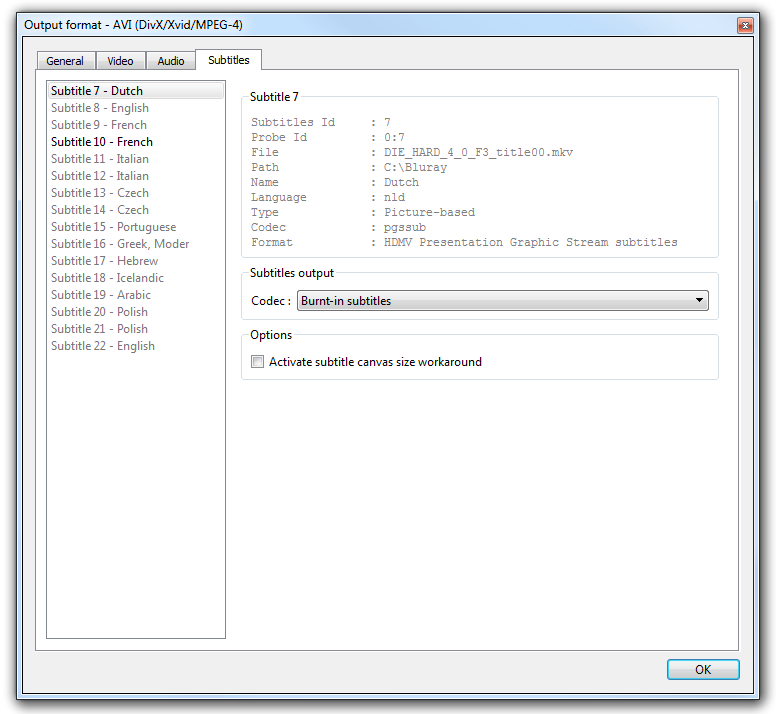 DVDx 4.1 can interrupt smoothly transcoding operations. 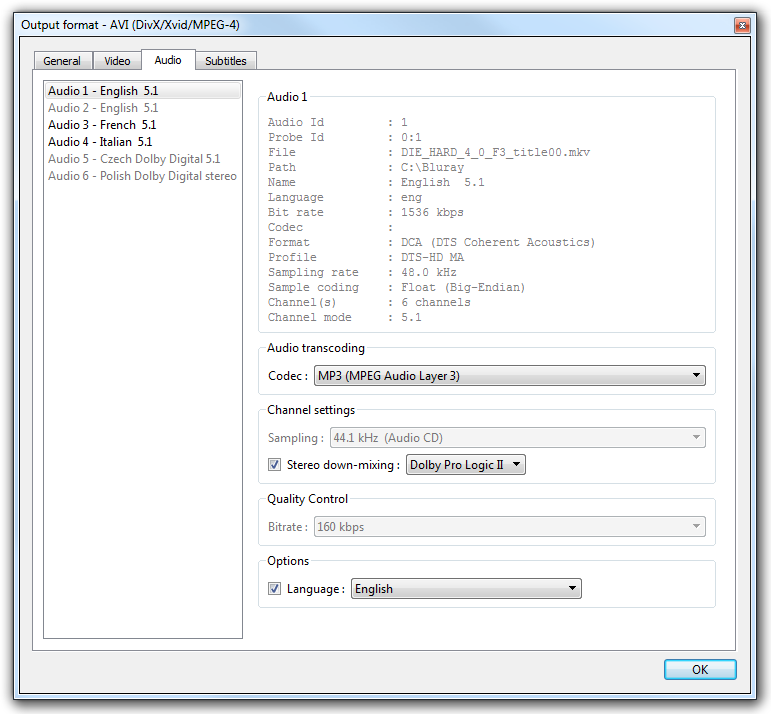 Smoothly means the output file will be shorter but consistent and playable. 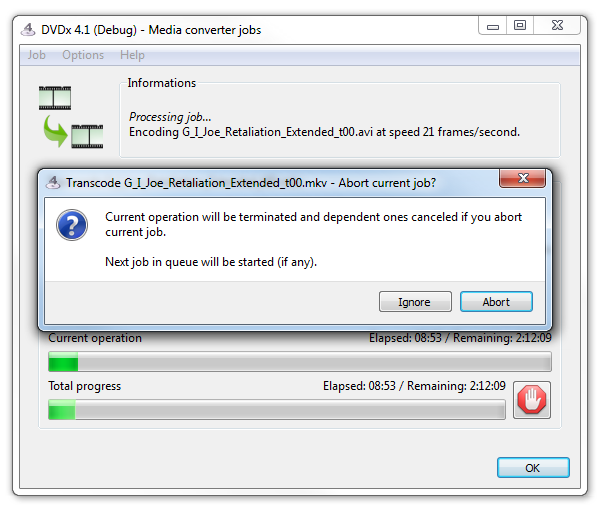 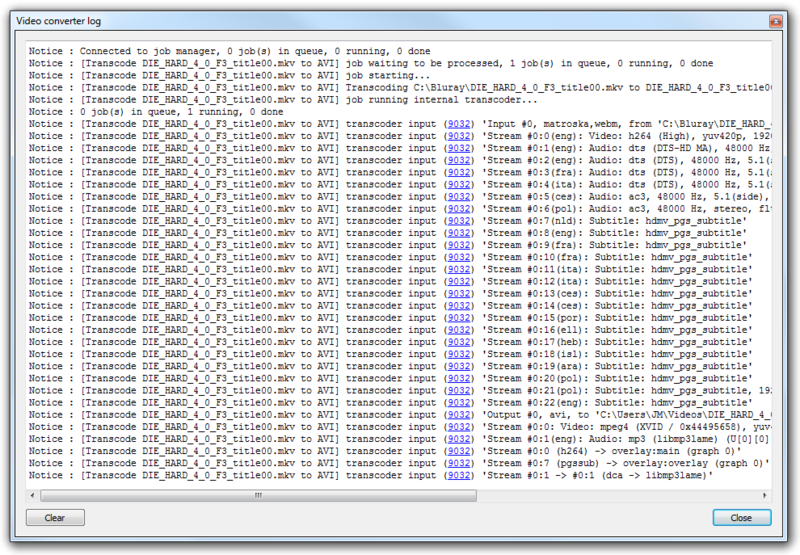 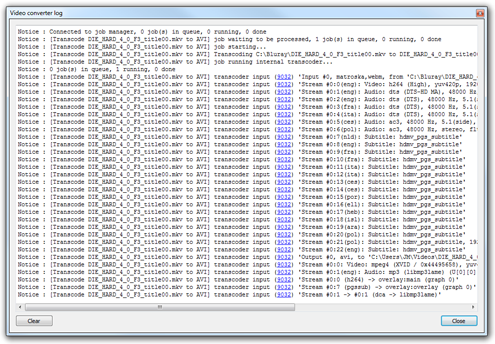 Therefore, if you want to preview a job which could be long, just abort, check in player and restart transcoding.